A lane through countryside near Ware, in Hertfordshire. 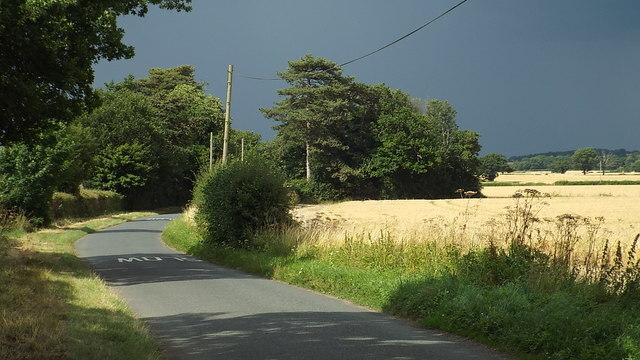 Although the sun is shining, the sky is dark as rain clouds gathered. A short time after this image was taken, there was a sudden heavy rain shower. © Copyright Malc McDonald and licensed for reuse under this Creative Commons Licence.